Get ready for a cup of pure relaxation. 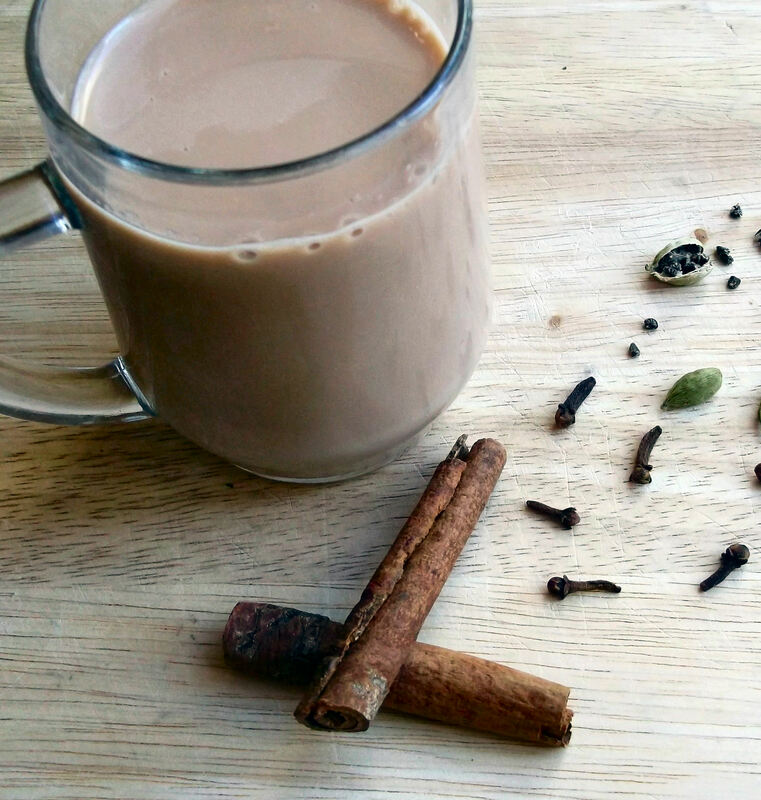 When I first tried this chai at my local health food store, I knew I had to try making it at home. They were kind enough to post the recipe, so I snapped a photo of it with my phone and carried on shopping. Just about all of the spices can be found at a regular grocery store, but I did have to go to an Indian grocer’s for the cardamom. Make sure to get green cardamom pods, not brown, and not just the seeds: get the whole pods. I was assured that the green pods are the best for chai and that they would last for “years and years” in the freezer, so that’s where I store mine. one bag will last a long, long time. That’s a lot of chai! 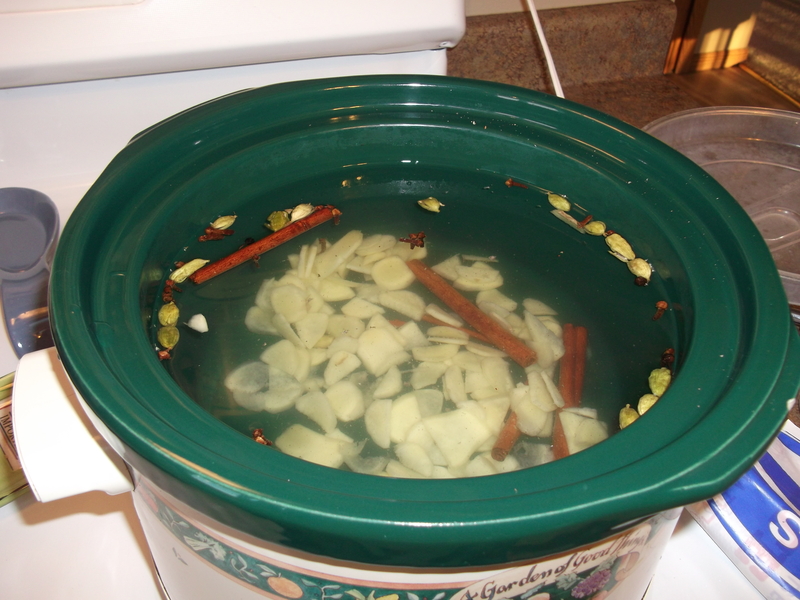 Place the fresh ginger, cloves, cardamom, cinnamon sticks and peppercorns in the bottom of a 5- or 6-quart slow cooker (crock pot). (Or place these in cheesecloth, with the corners tied to make a bag). Add the water, cover, and cook on low for 8 hours. Add the tea bags and steep for 5 minutes. 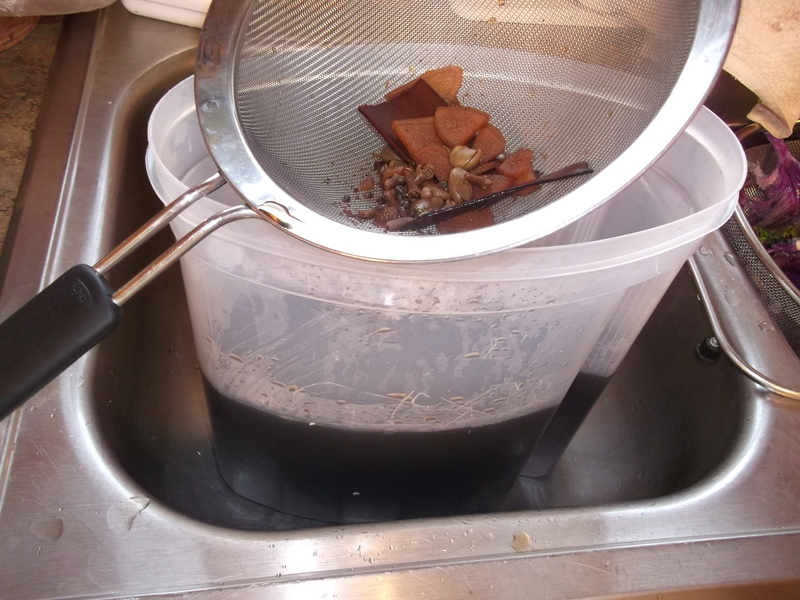 Discard the tea bags and spices (strain through a colander into a large container). Stir in the milk and heat through. Serve warm. Serves 12. Start with the spices. 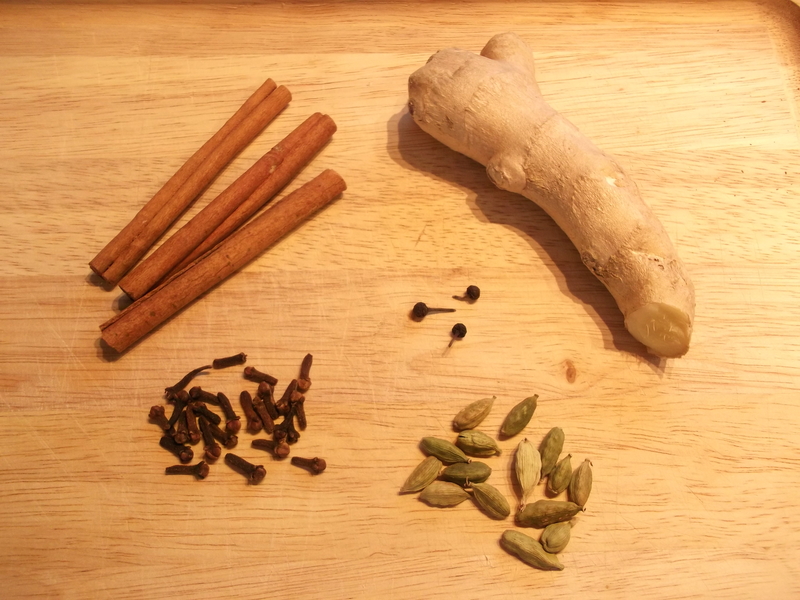 Clockwise, from the top, there’s ginger root (sold near the vegetables and other produce at the grocery store), cardamom pods (I got mine at an Indian grocery store), whole cloves, cinnamon sticks, and in the middle, whole peppercorns. Prepare the spices. For the cardamom, lay a knife flat across one pod at a time and press down gently to crush it open. Some of the small brown seeds might roll out, and that’s okay. Just add them to the crock pot along with everything else. Peel the ginger with a vegetable peeler (or scrape it with a spoon) and slice it thin. Everything else goes in whole. Put them all in the crock pot. The original recipe actually says to wrap them in cheesecloth, but I prefer to just dump them in and use a strainer or colander later to remove them. Add the water, cover, and let it cook for 8 hours on low heat. You don’t have to do anything with this while it cooks, but after a few hours when it starts to smell really yummy, it’s okay to sneak a peek and give it a gentle stir. After cooking for 8 hours, it will have turned deep brown and it will be very, very aromatic. Give it a quick stir to scrape up anything that might be stuck on the bottom. 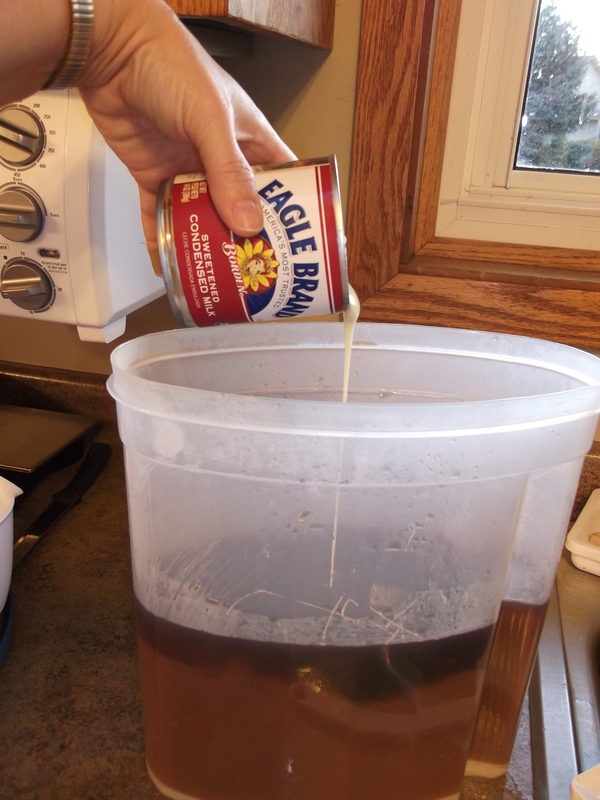 Add the tea bags and let them steep for 5-10 minutes. I use a spatula to push them down and totally submerge them. I’m sure they will sink on their own and steep perfectly well without my intervention, but I cannot help myself. 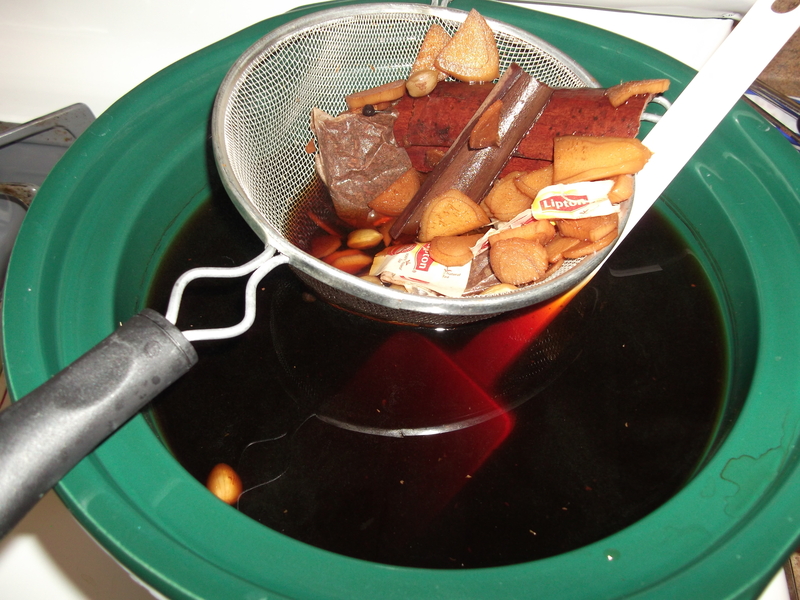 Next, take a couple passes through the pot with a strainer to collect the tea bags and as many of spices as possible. I love how the cinnamon sticks have unfolded themselves into flat, wide strips. 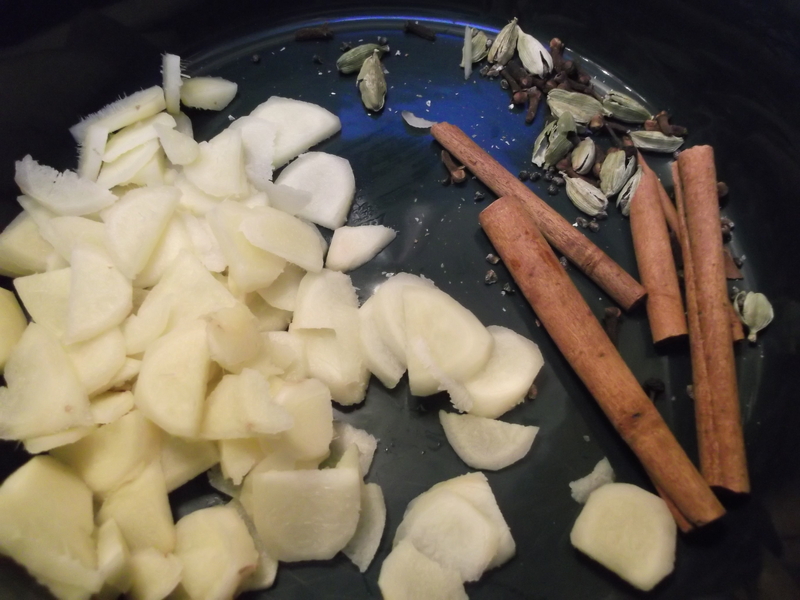 When most of the big bits are strained out, pour the concoction into another container, using a strainer to remove any remaining spice and tea detritus. 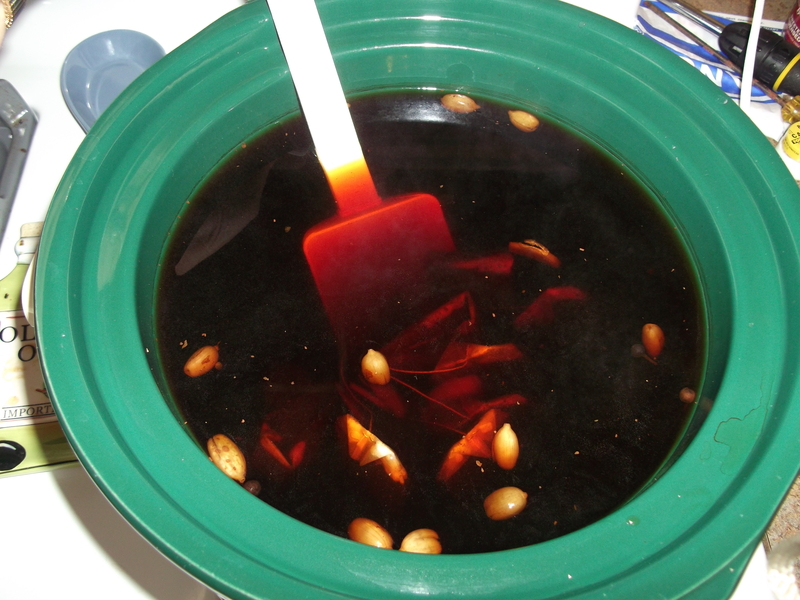 Be careful, though — the crock pot is very hot and pretty heavy, so pour carefully! Stir in the condensed milk. Feel free to start with only half a can and adjust to taste. I like my chai sweet and milky, so I go for the whole can. Fill your favorite mug and sit back, relax, and enjoy your warm cuppa! 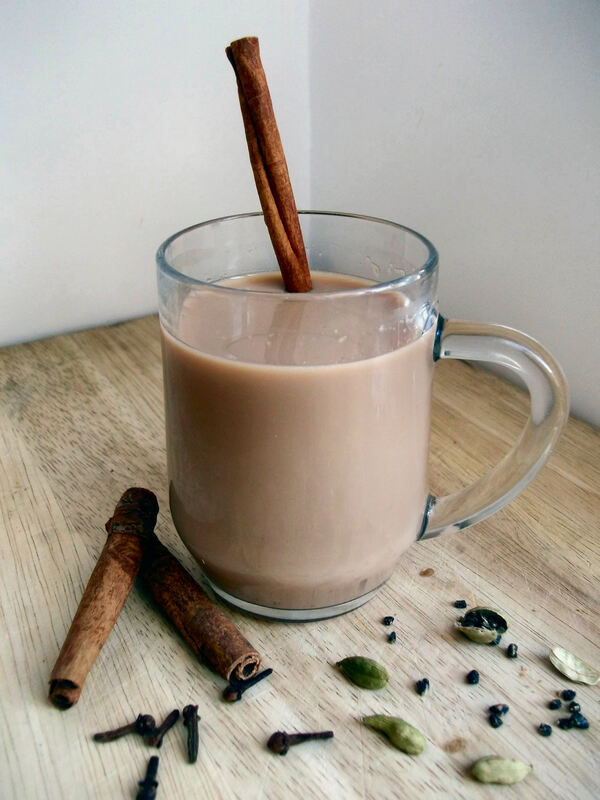 Store the chai in the refrigerator for up to a week. Reheat on a mug-by-mug basis or enjoy it chilled. Whether drinking it hot or cold, mix in a little coffee or espresso for a Dirty Chai and you’ll be energized all day. Enjoy! I’m going to try this! Looks wonderful and soothing!